Two teenage boys accused of planning a mass shooting at South Pasadena High School were determined to kill people on the campus, officials said Tuesday. School and police officials began investigating the threats last week, South Pasadena Police Chief Art Miller said at a press conference filled with parents, students and community members stunned by the allegations. "It was very viable, what they were plotting," Miller said. "They were making a huge plan of a school massacre." Miller said the two incoming seniors, aged 16 and 17, were very specific about their targets. “As they put it, they just wanted to kill as many people as possible,” Miller said. Investigators said the boys had not obtained weapons, but researched guns and explosives on the Internet. The pair were arrested after search warrants were served at their homes Monday. Miller said the pair were researching automatic weapons, bulletproof vests, bomb making materials and other weapons. He declined to discuss a possible motive for the planned attack. He said the two students did not have a specific date planned for an attack, but investigators believed they intended to carry it out. “There was no target date, but had a very, very specific plan of how they were going to carry out their sick mission," Miller said. The police chief said the parents of both boys were cooperating with the investigation. But officials reassured parents, students and staff at the school Tuesday that there is no current threat. Classes are not yet in session for the fall semester, but some students have returned to activities on campus, and security will be increased when classes resume Thursday. South Pasadena Unified School District Superintendent Geoff Yantz issued a statement on social media. 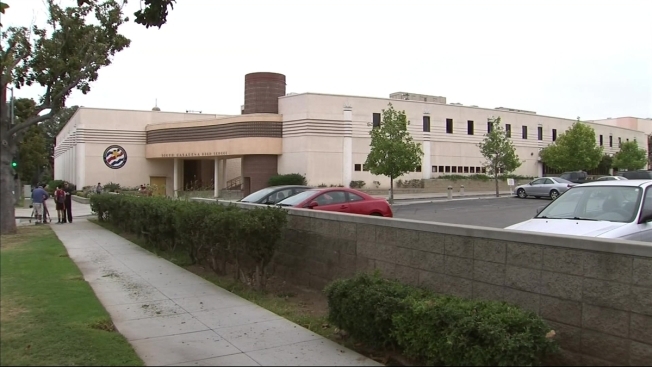 "The South Pasadena High School administration was informed of a credible threat of potential school violence at the high school and immediately contacted the South Pasadena Police Department who investigated the matter," he said. Counselors and psychologists were available at the school Monday. But news of the arrests shocked the small community, which has just 21,000 residents. "Parents are expressing a lot of sadness, fear, Mayor Marina Khubesrian said Monday. “Wondering will there be increased police presence in the schools. In general, a lot of concern." Students said they were alarmed by the possibility classmates would even consider such a plan. "I would think about (the plan) and I was, like, I could have lost all my friends that day and I would have been in such sorrow," said student Max Garcia. Student Hanna Crowley said she was trying not to think too much about what could have happened. "I'm trying not to actually think about what would have happened because that scares me quite a bit," she said. Both boys were booked on suspicion of conspiracy and making criminal threats. Detectives said they will present their case to the LA County District Attorney's office late Tuesday.